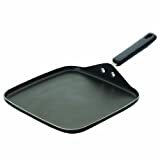 What To Look For In The Best Pancake Griddle #2 Is Extremely Durable! 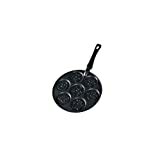 →What To Look For In The Best Pancake Griddle And #2 Is Extremely Durable! Do you know someone who doesn’t enjoy pancakes? There may be a few people out there who don’t enjoy pancakes in the morning. I don’t know about them, but I know something about you! You like pancakes as I do! I’m right, right? You wouldn’t be here if you don’t love them! Aside from your great pancake recipe Nana left you with; the best pancake griddle can help you have the most delicious pancakes in the entire planet! 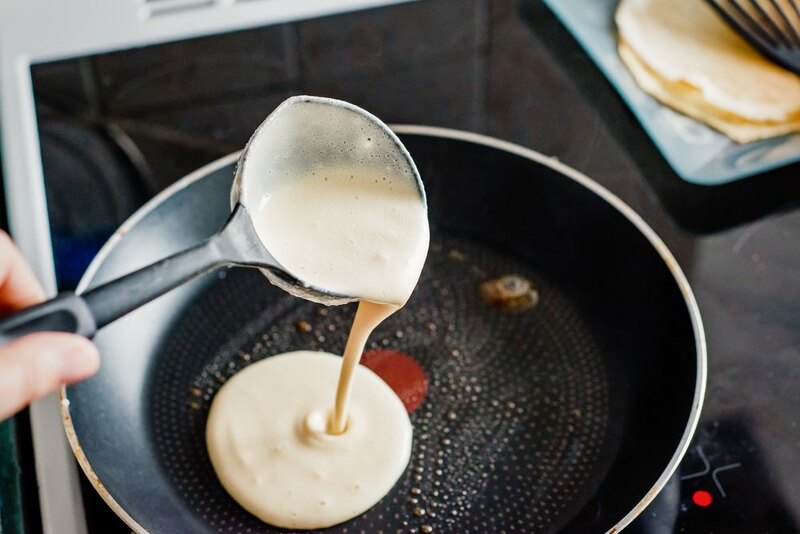 I know you're tired of your regular pan and you want to make pancakes more special, that’s why you are on the look for the best equipment for it! There, there. Let me help you choose your pancake griddle! I know you don’t want to waste time trying to find out which one is best for you. So, let me help you narrow down your selection! Let’s see what you want your pancake griddle needs to have. 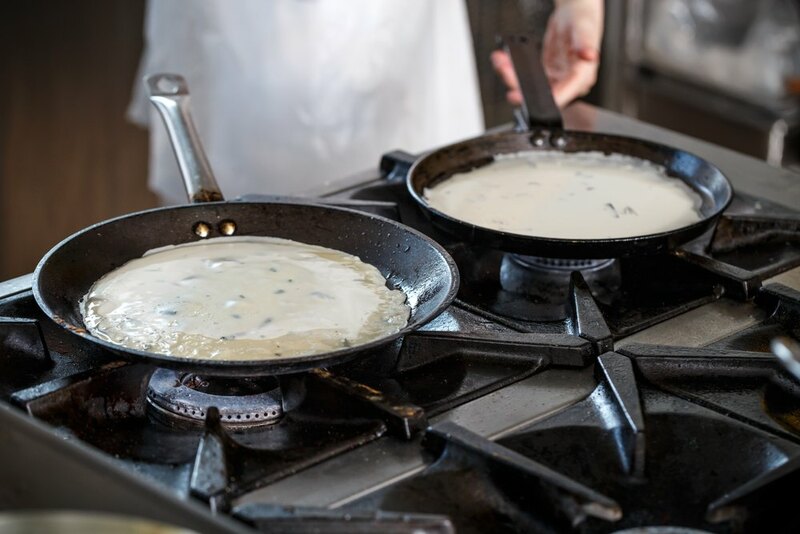 There are two main types of griddle you can choose from. Each has its advantage and disadvantage. A gas range griddle does not require pre-heating. On the other hand, an electric griddle may require up to 10 minutes of preheating for best resulting pancakes, but it lets you cook multiple pancakes at a time! Cast iron takes a while to get its optimal heat. On the other hand, cast aluminum heats up faster. Having a pan that heats up quickly is a little tricky to use. It can also lose its heat quickly so you must be precise in timing your cooking. You have to take extra care of this. Since it’s a lighter material, it’s more prone to warp over the years. However, cast iron may take a little while to get to your desired heat, but, it retains heat evenly and does not lose it easily. One more beauty about a cast iron pan is you can hand it over to the next generation! Breakfast is meant to be fast. It means easy preparation, cooking, and clean up. Clean up is part of the process! One thing you want to consider is how easy to clean your pancake griddle is. If it takes you quite a while to clean it up, you may want to have something that is not too delicate to clean. For electric pancake griddles, it’s best to have a long warranty and prompt customer support., Electronic parts that are frequently exposed to heat may get damaged through time. You want to have company support that you could rely on. Aside from these, there are many other alternatives uses you can have them for! This prompts you, to thoroughly think what else you would be using it for! Aside from pancakes, you may also consider making crepes with it. If you opt for a cast iron pan, you can bake with it too! You may also want to try French toast and sausages! Presto’s griddle is not for the faint of heart. You are buying this because you and your family have an insatiable appetite for pancakes! It has a whopping 15inch by 19inch cooking surface! That is pretty large and can accommodate up to 12 simultaneous egg sized pancakes! It’s made of cast aluminum and heats up the surface evenly in no time. You can easily tilt and level your griddle as you cook to facilitate oil drainage when used on meats. The handle stays cool even when used for a long time! If that is not enough, cleaning up is also made easy! To clean up, detach the control master temperature controller, and your griddle can be fully submerged in water! Large cooking surface - With this large cooking surface, you can cook huge batches of pancakes at once. Even heat distribution - Some electric griddles have patches of too much or lesser heat. Presto made sure that you will not be facing this type of problem! Cool to touch handles - The handles on both sides stay cool even if you cook tons of pancakes! Submersible - Cleaning up is a pain for electric griddles. But presto made sure that you can fully submerge this unit on water! Just make sure to remove the controller! A little expensive - It can hurt the pocket a little. But if you love pancakes, this may be no problem at all. Short power cord - If you are showing off your pancake skills at the dining table, you may need an extension wire! The lodge is a brand your Mom or even your Nana used to have! Maybe you have one at your kitchen? They are known for top-notch cast iron kitchen equipment and have been making it since 1896! This 10.5-inch round griddle can be your new best friend. This shallow pan can accommodate up to 6 pancakes at a time! It’s not the biggest pan out there, but you can swear on it! It sure can last a lifetime! It’s sturdy, and I bet you cannot break it! It comes pre-seasoned so you can use it right away. Aside from being a great tool for making pancakes, you can also bake with it! It can safely withstand up to 500 degrees! That means you can also make pizza with it! Cast Iron - Sturdy. It’s cast iron. You can’t break it, and you can bake with it! Excellent heat retention - Cast iron is known for unmatched heat retention and distribution. Holed handle - The handles have holes for easy storage. Hang it on the wall, and you’re done. Lifetime warranty - Given that it breaks with normal usage, you got yourself covered! Handle heats up - Don’t forget to wear your kitchen gloves when handling this stuff. It can get pretty hot! Takes a while to heat up - It’s a bit thick, and it takes a few whiles to get it worked up. But once it heats up, it retains heat exceptionally well. There was a time that everything used to be miniaturized. But when we talk of pancake griddle, the bigger it is, the better! 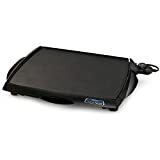 This Black+Decker griddle features and astounding 20inches by 11 inches cooking surface that can fit up to 8 pancakes at a time! Serve hot pancakes for the whole family in a few batches! This is a dishwasher safe electronic pancake griddle. Just remove the temperature controller and you can stick it in the dishwasher. No fuss. Just efficiency. It has a superb non-stick coating that is scratch resistant. This is one of the best electric pancake griddles on the market. Removable controller - This makes cleaning a lot easier. Just remove the heat controller, and you can safely wash it with water. You can even use the dishwasher for it! Superb non-stick coating - Don’t worry about the cooking surface. No food will stick to it! Variable heat - The heat variation can enable you to cook meat and other food stuff on your griddle! Large cooking surface - Cook some sausage, bacon, or egg while cooking your pancakes! Short Cord - You may need an extension cord if the wall sockets are a bit far. Small drip tray - If you plan to cook some sausages, burger patties, or bacon with it, you may need to drain the drip tray frequently. ​Uneven heat - There are patches of uneven heat distribution. No handles - Don’t forget to wear your mittens! Are you tired of how your pancakes look like? Or do you just want to make things a little more interesting for your little one? Aside from making pancakes with monster faces, you also get a non-stick coated cast aluminum pan. It has a phenolic handle which stays cool after long usage. The monster faces are cool and fun to eat! The non-stick coating makes this pan easy to clean. Soap and water will do! Sometimes, you can just wipe it clean, and you’re done! This griddle makes seven pancakes at a time enough to feed your little kids’ huge appetite! This is something kids can’t resist! They may even join you preparing their favorite pancakes! Monster faces - The seven molds have seven different monster faces! It sure can be fun! Phenolic handles - The handles will stay cool throughout the entire cooking! Don’t worry about burns! 10-year warranty - By the time your griddle turns five years old, maybe you’re ready to buy a new one. But wait, Nordic Ware promises their product will last for at least ten years! No multi-tasking for you - Unfortunately, you will need a separate pan for your bacon and eggs! Or you can try making monster faced eggs! Not a bad idea! A little difficult to pop out - Even though it’s a non-stick pan and food is not supposed to stick to it, sometimes, you may find yourself with a stuck pancake. A little oil or butter can solve this problem! We are so used to cooking everything on a conventional pan. In fact, we don’t normally buy a kitchen equipment to be used for a single purpose only. Thus, we end up with several circular pans of varying sizes that we can use for everything. Unfortunately, too much space is wasted on a circular pancake griddle. Farberware’s 11-inch square griddle features a large cooking area where you can cook up to six pancakes at a time! This means there’s enough room to make a few servings at a time! Or better, cook pancakes, bacon, and eggs simultaneously! That’s pretty neat! It’s made of aluminum, and Farberware promises it can withstand the oven for up to 350 degrees! It’s not your ordinary griddle! You can bake with it too! Just stick your griddle in the oven to melt all those cheese! Versatile - Don’t worry about pancake exclusivity! You can also make grilled cheese and some frittata on it! Oven safe - If you want to melt some cheese toppings, you can directly place it in the oven! You can bake with it up to 350 degrees! Short handle - The handles stay cool. It would just be a little nice if it were a bit longer. No sauce - No sauces for this pan! You risk liquids running all over the place with the low lips of the pan! Which is which? 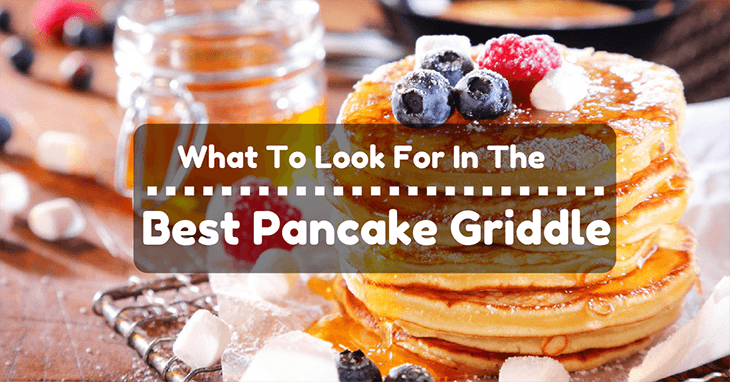 Which among these 5 is the best pancake griddle for you? For a large family, Presto’s tilt and drain cook a large batch at a time. You can cook bacon and eggs alongside your pancakes with no problem at all. It’s affordable too! But if you want some cheaper electronic pancake griddle, Black+Decker is for you. It has a decent cooking surface too, and it’s easy to clean also! But if an electric pancake griddle would take too much space in the kitchen, a stove top pan is best for you! If you carefully look at it, you can cook a lot of other things with a stove top griddle! 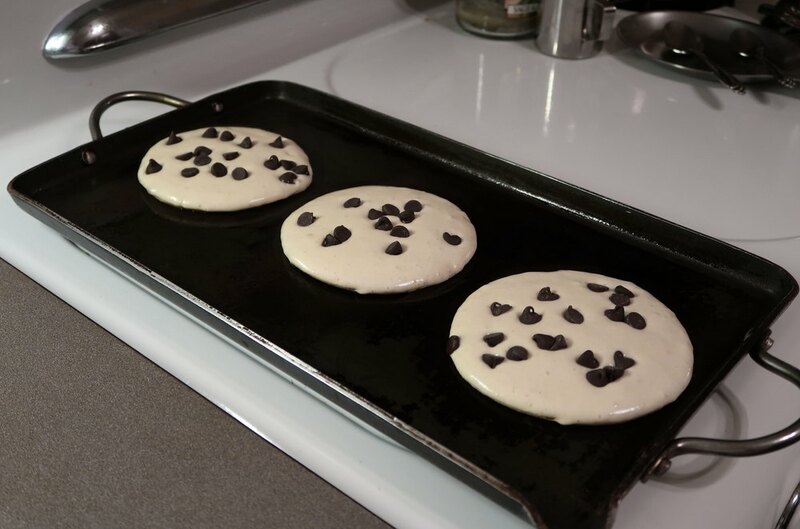 If you are planning to bake with your pancake griddles too, Lodge’s cast iron pan will surely last you a lifetime! Even your next generation can benefit from it! By this time, I hope I have enlightened you about which is the smartest choice for you! Do me a favor? Share this page to your pancake loving friends too! They will surely love to have a pancake griddle they could rely on!Have questions or comments? Leave it below, and I will get back to you soon!